Many around India have had a hard time linking their Permanent Account Numbers or PAN to their Aadhaar links. This is especially because of spelling issues among other points. However, those who need assistance with linking their PANs to their Aadhaar accounts can now use an ID scan to get the PAN linked to one’s Aadhaar. This comes as it is mandatory to link the PAN with one’s Aadhaar account. This move is all part of an ongoing effort to ensure that the Aadhaar system is functional throughout the country. The Finance Bill of the Budget made it to where the PAN can be linked with the Aadhaar system. This is to keep people from avoiding taxes by using several PAN cards to make it all work. 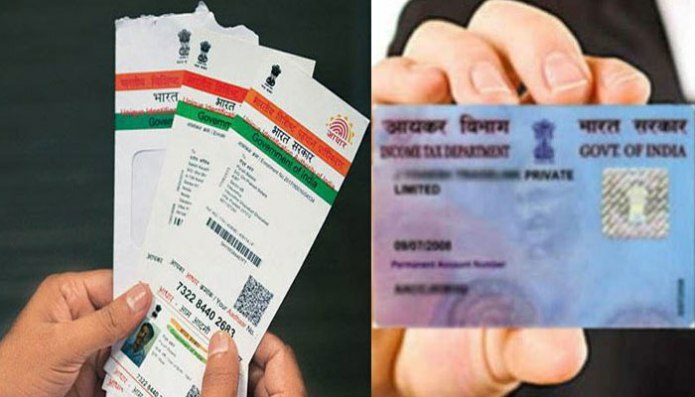 The Indian Tax Department is asking that people use the system to link Aadhaar numbers with PAN cards to ensure that tax payments can be managed right. Make sure you have a computer that can get you online. Use a private computer in your property so you will stay secure and less likely to have your information taken by anyone. Go to https://incometaxindiaefiling.gov.in Register or login depending on your history with the site and then choose to get into the system to apply for Aadhaar and PAN linking. Make sure you don’t decline the invitation or else the IT department might be suspicious of you. Enter in your Aadhaar number and make sure the data you enter in matches up with what is on your card. This is to help you get the application process to work quickly without any errors coming about in the process. Choose the Link Now option when all your Aadhaar information is entered into the proper prompts. You should get a confirmation message stating that your account has been properly linked if this is used right. Sometimes the names on Aadhaar and PAN cards are different for the same person. That is, a person’s name is spelled differently or marked in some other way than what it is usually listed as. For instance, many people around India struggle with getting their initials read through the PAN system. This comes as many of them are trying to get their full names secured so it will be easier for all of this data to be read at a given time. To resolve the initial issue, you can update your name on your Aadhaar card to match with your PAN card. To do this, you can log into the UIDAI website and scan your PAN card to the server as proof of your identity. This can be linked to your Aadhaar account with your Aadhaar name being adjusted to meet up with the PAN name. You can log onto an e-filing site and ask for an OTP if you have linking issues on your site. This can be used so long as the year of birth of the person involved is the same on both documents. An active mobile number that is registered with your Aadhaar card can be used. You must make sure the number is active so you can get the online process working without having to update your name in any case. The need to link Aadhaar numbers with PAN accounts has become a real necessity in recent time. The Finance Minister of India made the announcement recently that Aadhaar links are needed for filing tax returns. This is to keep tax evasion and corruption from being a serious threat. It is also to ensure that only one PAN card can be used by each person. There have been concerns in recent time where some people have multiple cards. By linking Aadhaar and PAN systems together, it will be easier for data to be managed carefully and to ensure that fraud will be less likely to occur within the system. You might have to get information on your Aadhaar or PAN card changed if the details on each of them don’t match up. Contact UIDAI if you need help with changing the Aadhaar card or the IT Department for your PAN card. You can get your name, address, birth date and gender changed on each card. You do not have to provide any other document to get these cards fixed up either.